NSW has introduced a new workers' compensation incentive regime to ensure medium-to-large employers with good safety and return-to-work records contribute no more than a third of the total premium pool. NSW's workers' comp overhaul Bills have passed Parliament, with amendments that ensure emergency workers receive the benefits of the changes and the Dust Diseases Board continues to fund research into disease prevention and treatment. The NSW workers' compensation scheme is being overhauled to provide safe employers with premium discounts of up to 20 per cent, restore a number of worker benefits that were scrapped in 2012, speed up the dust diseases claim process, and replace WorkCover with three separate agencies. NSW workers' comp premiums have plummeted by an average of 17 per cent over the last two years, but injured workers have paid for these cuts, with thousands going without medical treatment or being forced onto Centrelink benefits, according to a union-commissioned Macquarie University study. > New judge appointed to Dust Diseases Tribunal. > Safety regulators release alerts and other publications. NSW's workers' comp regulations will be amended immediately to ensure amputees and some other injured workers have access to medical aids and benefits until retirement age, State Finance Minister Dominic Perrottet has announced. The NSW Government surprised employers with further workers' comp premium cuts in its budget yesterday, but the Greens and unions say WorkCover's surplus should be used to support amputees and others whose benefits were "stripped" by the 2012 scheme overhaul. 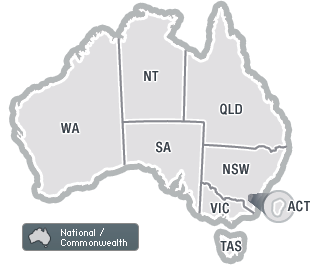 WorkCover NSW reveals 2014-15 premium rates; SA Independents to determine future of cancer compensation laws; and Maximum workers' comp payments increasing in WA.